Detail. Dining room end chairs adjacent to a garden. 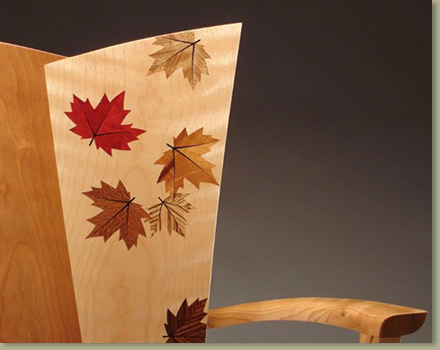 Cherry and wavy birch with inlaid leaves in various woods.